Kick the Monday blues to the curb and check out 5 amazing events going on around Montreal today! What: Have a true artistic experience at a workshop with living models in the Museum’s majestic Glass Court. Sample Italian wines and a cornucopia of delicacies while visiting the POMPEII exhibition. What: Saint Laurent Blvd is closed off and Blue Dog’s terrace is out so swing by early for some yummy cocktails before their live DJ shows including a wicked headliner from New York to cap off your Monday! What: Since 1989, Les FrancoFolies de Montréal has been the true reflection of a thriving French-speaking music world. Nearly 70 indoor shows and 180 free outdoor concerts will be on the menu during this fun-filled program. 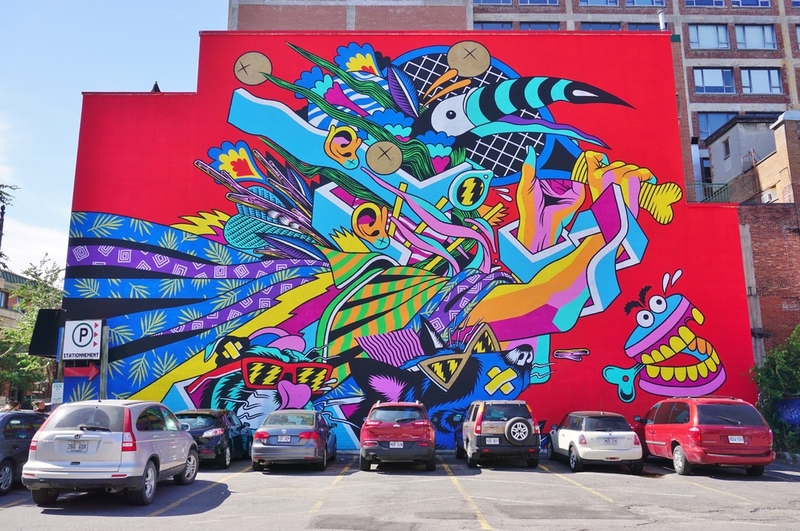 What: Located in the heart of Saint-Laurent boulevard, MURAL’s program offers the public a plethora of art related activities. You will have the opportunity to witness the making of murals in real time, attend exclusive musical events, enjoy outdoor exhibitions, and feast in sublime gastronomy. What: With over 700 shows, local and international performing artists will take over the Plateau Mont-Royal. Featuring dance, theater, music, comedy and more, the Fringe Festival is Montreal’s most unique block party!